" E. B. Box is committed to providing high quality packaging solutions with exceptional customer service at a competitive price." E.B. 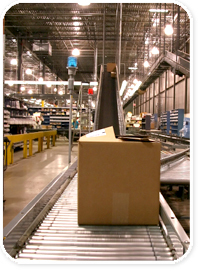 Box Company has been manufacturing custom boxes and standard folding carton boxes since 1972. Our commitment to quality and customer service has allowed us to forge many successful long-term relationships with our clients. Our in-house die cutting, printing, and gluing capabilities allows us to produce a variety of boxes including computer software, cosmetics, food products, educational, electronics, toys, pharmaceutical, automotive parts, bakery, take-out, business card boxes and various other manufactured goods. At E.B. Box we are focused on the environment and therefore we only use recycled materials in the manufacturing of our boxes and all of our products are 100% recyclable to the end user.